Whether you’re a professional, a handyman or having a go at doing some home tiling – if you aim to do the job properly, you are going to need a tile saw. But which saw is the best? As you can imagine there are many options out there. However, you’re in safe hands because that’s where we come in. In this article we have rounded up the best rated tile saws available in 2018. You can view our top 5 picks in the table below and read the full reviews further on. 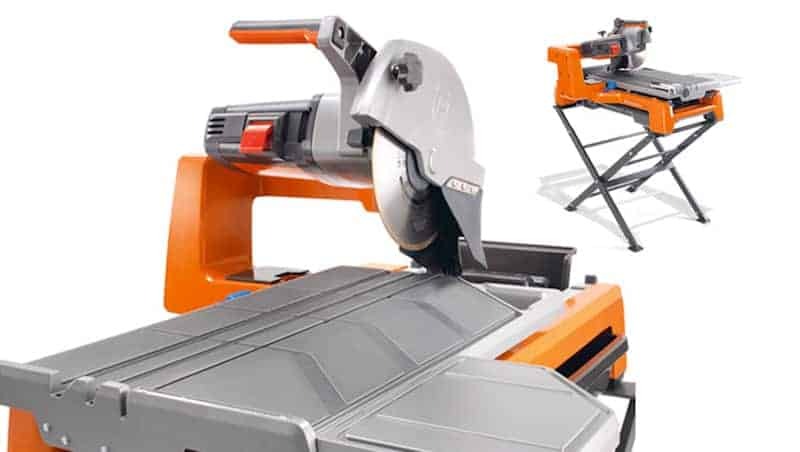 We have also compiled a comprehensive tile saw buyer’s guide. 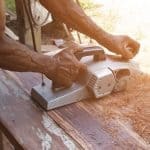 This will help you understand the types of saw available and the features you should look out for. At the end of the day, we want to give you the perfect head start for buying the best tool for you. Related Reading: Find out about the best types of diamond saws. The DeWALT D24000S 10-inch Wet Tile Saw receives our coveted number one best tile saw pick for a number of reasons. First off, this is a serious piece of equipment that has all the features and then some to cover everything you need when cutting tiles. Whether you are cutting large tiles or need to make difficult diagonal cuts, the DeWALT D24000s balances power with precision to an extraordinary extent, making short work of even the hardest of tiles and stone. 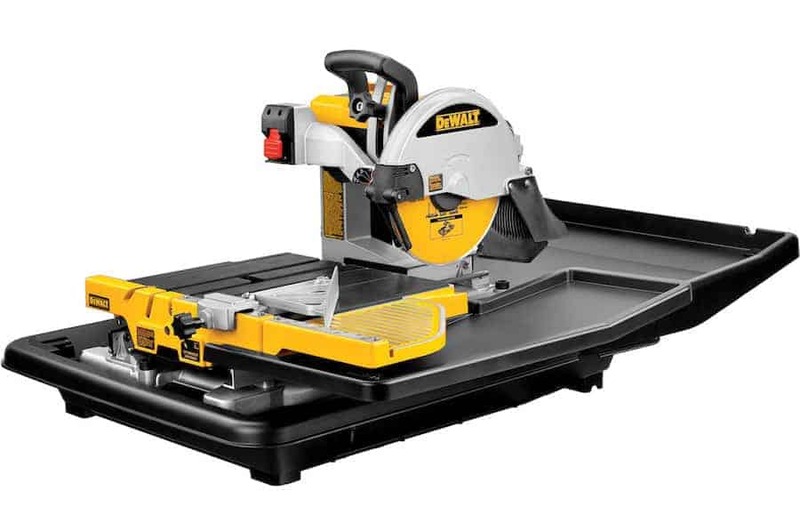 The fact that the Dewalt can be used as a portable tile saw, the powerful 1.5 horsepower motor really is one of the best you expect at the current price point. As you will see in our buyer’s guide, the motor is clearly the engine of the machine. If you want to be able to cut through tough materials like porcelain and stone, without causing undue blade stress or over heat the motor – the power needs to be there. With the DeWALT the motor’s superior build quality ensures that you have all the power you need. As you are aware, a wet tile saw requires a supply of water (whether from a constant feed, or a pump container attached to the tool) to wet the tile during the cut. This reduces friction and helps contain the dust. 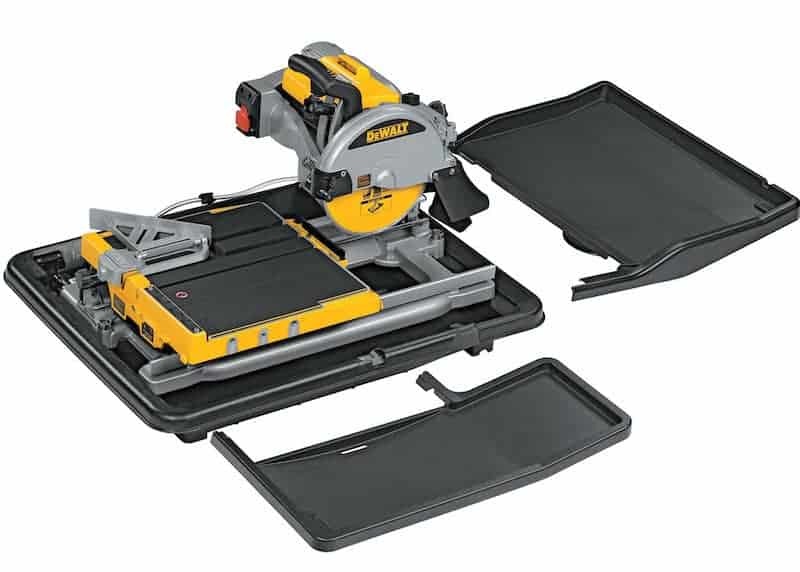 The DeWALT opts for the pump water supply making this the portable tile saw of choice. Weighing only 69 pounds, one person can easily transport and set up the DeWALT D24000s. The tool ships in 2 boxes, one containing the saw, the other the robust foldable table. As mentioned above, the water pump means you can work in an area devoid of a water supply, (as long as you can fill up the water container), meaning water supply hoses and access to a tap are not issues you have to concern yourself with before a job. Further more, the lightweight design makes the tool easy enough to carry around from room to room. Importantly, the compact frame measures in at 34 x 26 inches. This is wide enough to give you adequate work space while at the same time this enough to fit through small doors and tight openings with ease. 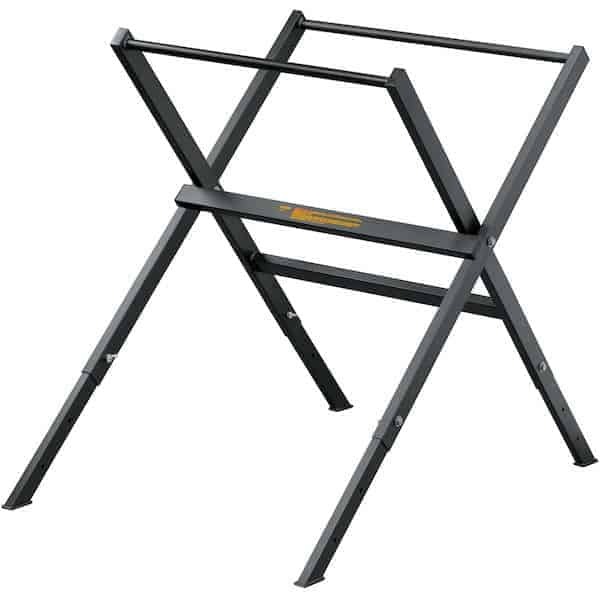 The removable cutting cart, and foldable table stand makes the DeWALT nice and easy to dissemble, set up and store. At some point in any project you will want to cut a hole in a tile. This is to neatly accommodate plumbing pipes, radiator supply lines or electrical sockets. Before tile saws enabled the plunge cut, tradesmen would have to resort to using a drill to carefully remove the inside of the tile. This was delicate work that would often lead to split materials. The DeWalt D24000 takes care of this with a simple to use plunge cut feature, that will cut a hole into the tile. The cutting depth is excellent too, with a very versatile 3/8-inch cutting depth. This means even large pavers and V-cap tiles can be cut through using the plunge. Related Reading: Check out our reviews on the best track saws. The DeWalt D24000 wet tile saw contains a strong stainless steel railing that helps keep the guide accurate even after constant heavy use, (the last thing you want is guard rails that corrode over time due to the effects of water damage). The tool also features a cantilever design on the cart that allows the user to make diagonal cuts up to 18-inches and rip cuts up to 24-inches. The ease in which the user can change the blade angle on this cutter, really is one of the many highlights. It also ensures that the DeWALT can efficiently handle both large and small tiles. The DeWALT comes with an excellent three year limited warranty, a 90 day money back guarantee and a free one year service contract on maintenance and repairs. This is exactly the kind of support confidence you need when purchasing a top notch piece of equipment. You’re handing over your heard earned money, but getting a robust tool that will last you a long time. 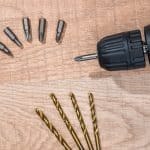 Add that to the vote of confidence you are getting from the manufacturers themselves, (by offering such great support, they clearly believe the user will not need it too often) – all means you are winning with the DeWALT D24000s. In our opinion it is the best wet tile saw available on the market today. In many ways, your search ends here. high-quality, powerful 1.5 horse power motor. 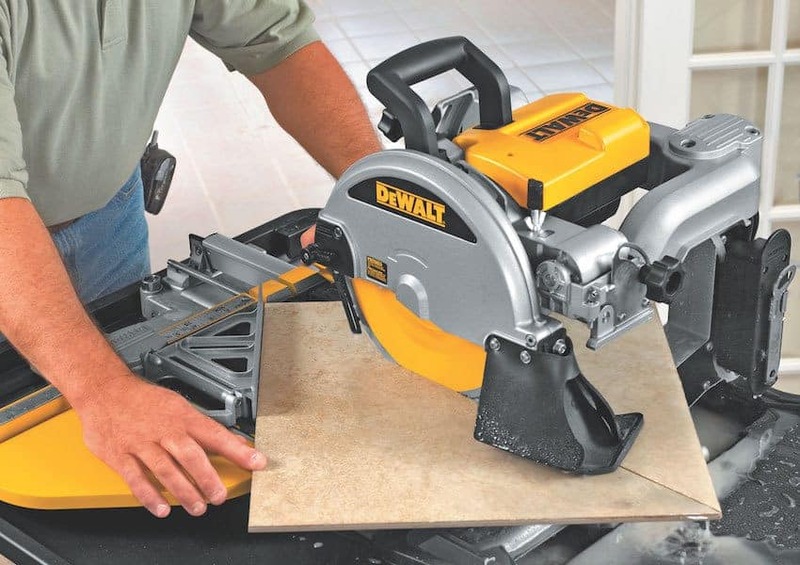 One very specific online user complaint was due to the fact if you need to cut 18″, 24″ and 18″ diagonal at the same time as making those cuts visible with a 1/8″ grout spacing, the DeWALT D24000s is not necessarily the tool for you. DeWALT have leaped well ahead of the competition with the DeWALT D24000s. 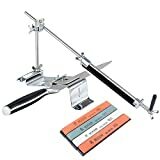 That long list of what we loved about this tool, along with the excellent warranty and support available, makes this the wet tile saw to buy. The QEP 83200 24-Inch Bridge Tile Saw with Water Pump and Stand is a another great tool, that has been selected for out top 5 round up for good reason. One of the interesting features on the QEP, is the laser guide. While many heavy cutting equipment will utilise such technology these days, it’s good to see it in place on a more portable cutter. Of course this helps make your cuts extra precise. The laser light provides a definitive cutting line which is invaluable while you work, meaning even a complete newbie (once you have set it up as this can be awkward) should be able to effortlessly execute a high standard cut. The 1-1/2 HP, 3550 rpm motor, powering an 8-Inch continuous rim diamond blade, really does make short work of almost all cutting tasks. 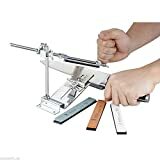 When you add that to the adjustable tilting head which provides the user with ultra easy 45° to 90° miter cuts – you have a versatile yet powerful tool that has proved very popular to many satisfied customers. The enclosed dual water spray system utilises a pump to evenly distribute the water flow, meaning the work area and blade are the focus of the water, rather than your extended working environment. The rust proof, fiberglass impregnated water tray is a great size for working with, while also easily sliding in and out for easy cleaning. The tool also comes packaged with a convenient stand with rear locking wheels for extra stability. The dual water spray system that evenly distributes the flow of water onto the blade. Powerful 1.5 horsepower motor with 3,550 RPM. The adjustable tilting head of the QEP bridge saw delivers fast and easy miter cuts from 45 degrees to 90 degrees. While the laser is a great feature, it is not as easy as it should be to set up. The instruction manual provided with the unit is not very clear. Some have complained that the packaging is not up to the standard that you would expect for a piece of equipment of this size and weight. A great tool with some excellent features and power, however there are a couple of issues with construction and packaging (i.e attention to detail areas) that mean the QEP does not receive full marks from us. Should you be interested in buying this tool, make sure you have done your full research into its minor flaws first, to ensure that they’re not deal breakers for you. 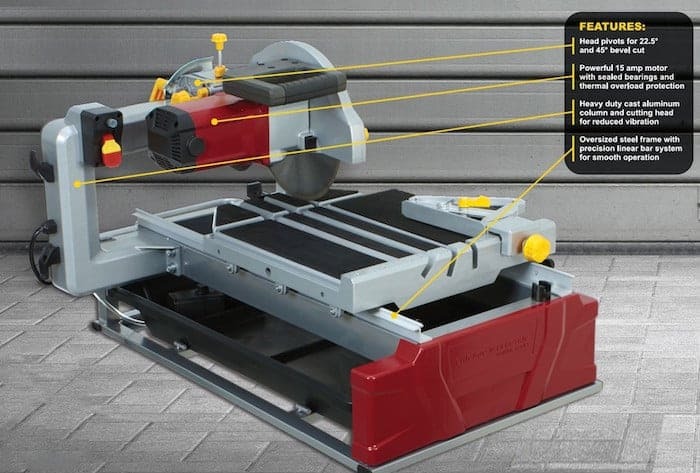 The Chicago Electric was very close to getting our top pick tile saw in 2018. This really is a robust beast, with a power and cutting strength to impress. Furthermore, if you’re in need of a top grade 10-inch plunge saw, or a machine with a cutting capacity of up to 24 inches, this could well be your answer. The motor in the belly of the tool is a dual capacitor, 2.5 horse power machine, featuring sealed bearings and an excellent thermal overload protection. 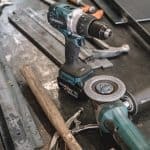 Basically the guys over at Chicago Electric know that you’re going to be tackling thick slabs of tile and stone with this tool, and they have done everything they possibly could to make sure that their product is up to the task. The adaptability of the machine is also a top selling point. This is more than just brute force and ignorance. The head pivots to allow 22.5 and 45 degree bevel cuts, with the adjustable cutting head letting you adjust the blade for standard tiles or bricks up to 3-1/2″ thick. In short, the Chicago Electric is versatile enough to able cut the hardest of stone work and the most delicate of porcelain tiles, all with just a series of easy to operate, fine-tune adjustments. We know that the motor is up to the job, however it takes two to tango – if the tool is to allow for precision cutting of a wide range of materials, the blade has to be of superior quality too. Unfortunately, (at the time of writing) the Chicago Electric does not come with a blade when purchased on Amazon. However, this can be seen as a good move to a certain extent. This allows the buyer to purchase a quality blade separately, in line with the intended use of the machine. Take the time and money to invest in a great blade that is capable of premium cuts and you’ll be able to perform all manner of stonework and masonry with the Chicago Electric for many years to come. The big, stable frame and precision linear bar system really keeps everything sturdy as you work, while ensuring that everything is squared up too. The 2.5 Horsepower motor is a real beast, featuring thermal overload protection and sealed bearings for ensured power and consistency. 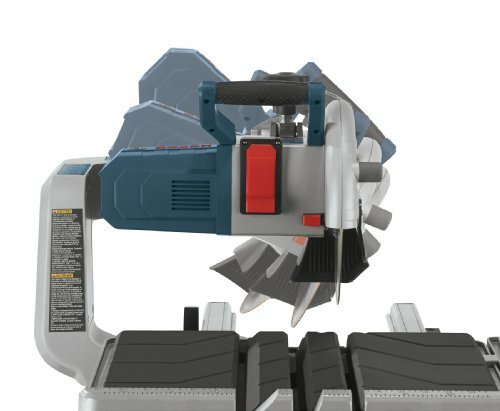 The head of the Chicago Electric Brick Saw is capable of pivoting to allow for 45 degree and 22.4 degree bevel cuts. For bricks up to 3½ inches in thickness, the adjustable cutting head ensures that you can cut the thickest of bricks or standard tiles without issue. The Chicago Electric 2.5 Horsepower 10-Inch Industrial Tile/Brick Saw has an excellent cutting capacity of 24 inches, with a very reliable plunge cut system built in too. 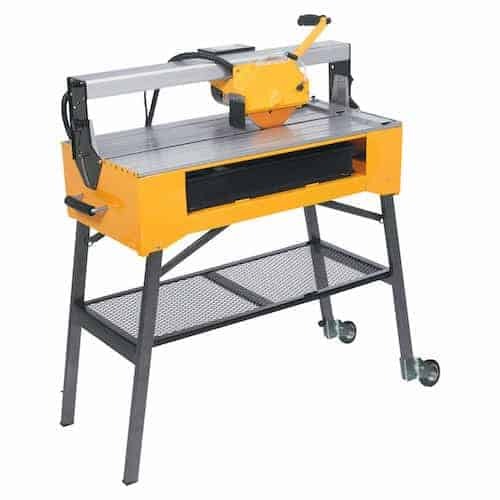 An top quality tile and brick saw with a large amount of power under the hood. If you’re okay with a little extra leg work before you start cutting, this could be the best tile saw for you. 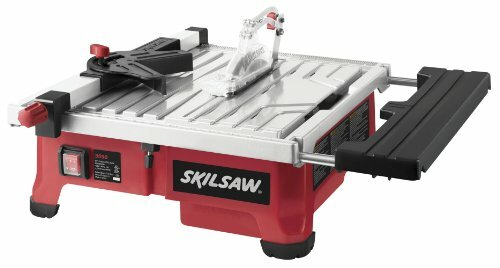 The SKIL 3550-02 7 inch wet tile saw makes our best tile saw of 2018 top 5 because it balances affordability with ease of use for simple tile cutting tasks. 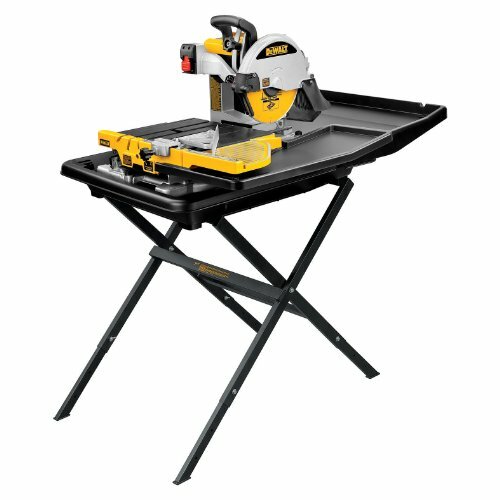 Perfect for home DIY work, this portable 7″ saw will stand up has proved popular to many. The 3550-02 has some really nice features too. SKIL have incorporated their new ‘HydroLock System’ into this saw. 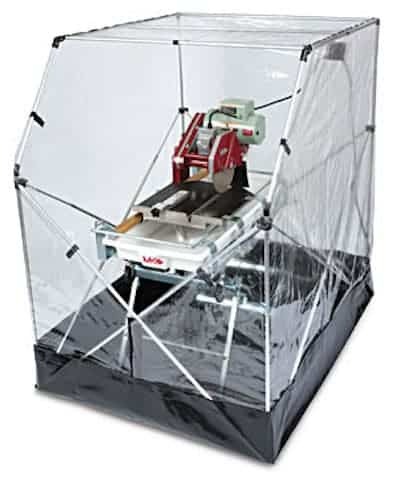 This is designed to help keep the water and dust from spreading across the work environment, while focusing the water to where it is required, namely the cutting area. At just over 20 pounds, the unit is light weight and easy to shift around from job to job. It is also easy to put together. The table itself is 16′ by 16″ and the plastic outrigger (which can be mounted on either the right or left side of the saw) adds another 4″ of width. Build quality is overall good for the price. The ribbed aluminium worktop that comes with the saw is also durable, rigid, and rust-resistant. The 5 amp motor is clearly small, however, it is still able to cut through ceramic tile and 5/8″ marble with relative ease. Aligning for the cut is simple enough to execute too. With the aid of the imperial scale printed on the top and bottom edges of the table, you’ll be measure up your materials with ease in no time. The fence is fully adjustable and clamps firmly in place. The removable plastic miter gauge rides atop the fence for when you need to male angled cuts from 0° to 45°. The blade is easy to install – Skil lists a 3/4″ depth of cut for this saw, but the blade extends a full 1-3/4″ above the table. The 3550-02 comes with a diamond coated blade that is up to the tasks the saw is designed for. The power cord is only 6′ long. Most jobs will require an extension cord. The blade grinds away quite a bit of material on each cut, so sludge build up in the containment system can be a problem. The Skil 3550-02 is a great little tile saw that really benefits from the HydroLock System. If you’re doing some tiling at home, where mess will be an issue, this tool really is a good option. The containment system actually works. Although the motor is quite small, with many of the competing saws much more powerful in this regard, the SKIL can still tackle a wide range of tasks that the home DIYer will ask of it. Furthermore, the extendable outrigger is great for accommodating wider tiles too. Overall, the saw is easy to use, affordable while punching above its weight in the results department. Highly recommended. The Bosch TC10 is of the standard we have come to expect from this top quality power tool manufacturer. The motor is in the mid power range of our top 5 list at 1.4 HP and 4200 RPMs, however the superior technology really shines through. The saw performs really well on both porcelain and stone. The tool is built to provide 27 inches between the blade in its lowest position and the table’s fence. 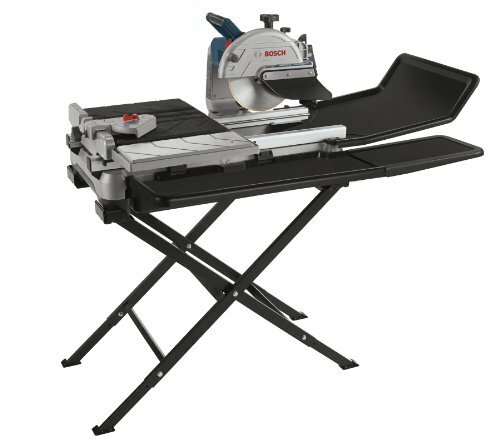 This ensures that the Bosch TC10 can easily handle 24-inch tiles on straight cuts and 18-inch tiles diagonally. How big is the Bosch TC10? 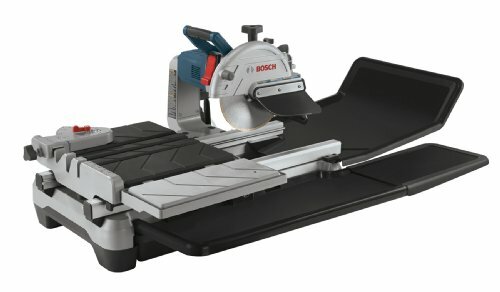 On the subject of dimensions, the length of the Bosch TC10 tile saw comes in at just over five feet at full extension. With a width of almost three feet, you can begin to understand what we are talking about when we say that you need a good amount of space to operate this thing. And what about the blade? A diamond blade is shipped with the TC10. However, you are advised to shop around as there are better quality saw blades depending on the type of work you plan to carry out. The tool also featured an integrated GFCI module on the power cord to protect the saw against the inevitable water run off. The Bosch TC10 tile saw scores highly on water retention and controlling work environment spray. This of course is an important factor when considering what wet tile saw to buy. The curved-up design of the rear tray helps keep a great deal of water from escaping the cutting area, with side trays there to catch any wayward drips. Although the nozzle can not be adjusted like many of the other wet tile saws listed in our top 5, the angle is adequate enough to deliver the water efficiently. 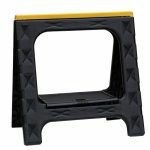 The X-shaped folding stand (GTA10) that comes with the Bosch TC10 is good enough to cover most requirements. It is sturdy and the size will suit most users. The adjustable feet can position the stand at either 28-1/2 or 29-3/4 inches tall. The Bosch TC10 is a top quality professional wet tile saw. Performance wise it is difficult to beat. The motor and blade cut very well, while at the same time, the design of the saw is very good at keeping stray water from spraying about the work area. 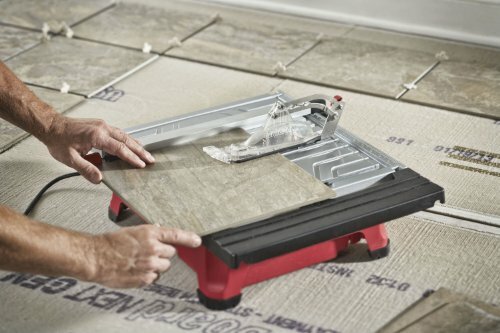 Although the tool is on the large side, making portability a little bit of an issue – professional tile cutters will not necessarily see this as a problem on big jobs where a robust tool is required. A top quality wet tile saw from a well established brand. Anyone that has worked with tile and stone will know one thing – it is a material that is easily broken. Whether you’re dealing with natural ceramic, porcelain or stone or with man made materials the issue is very much the same; if you do not have the correct cutting tool, you will have more broken edges and cracked slabs you can shake a measuring stick at. Thats why tile saws are so important. They are designed to precisely cut these materials without creating any damage. 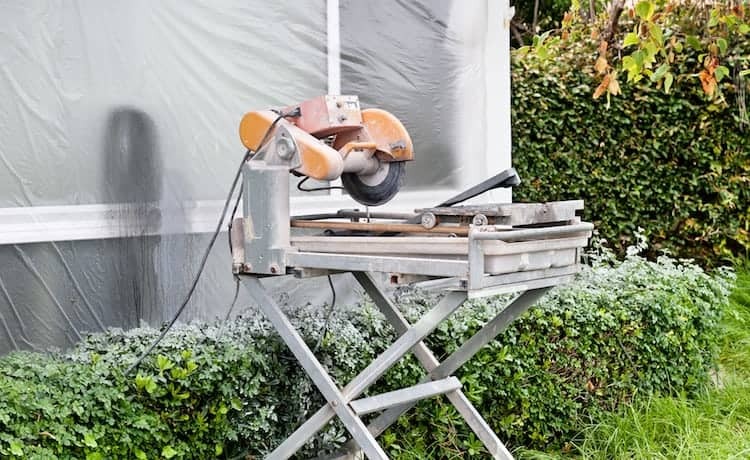 Tile saws look very much like a standard circular saw that has been mounted over a sliding table with a large water pan underneath. 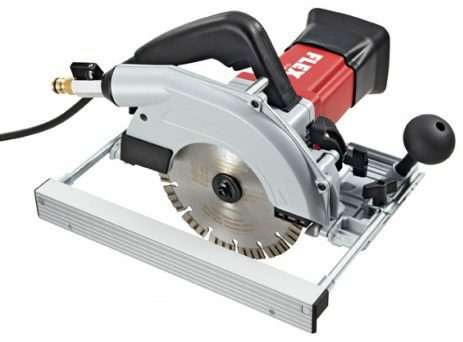 A tile saw utilises diamond, cutting blades. 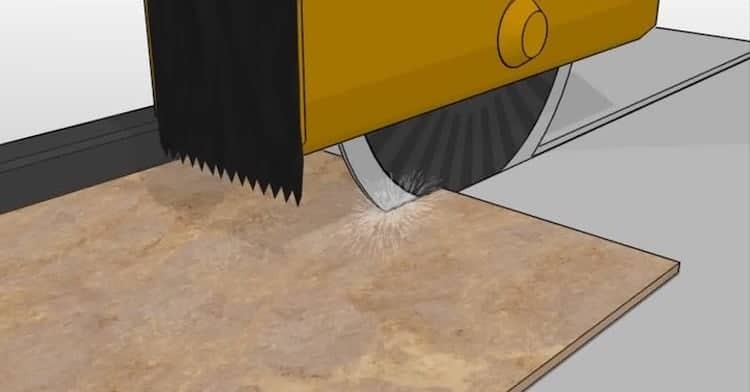 Not only are these blades extremely strong, the design of a tile saw is such that the blades create a cut by rapidly chipping at the material. This of course is very different to a normal cut, or slicing action. A stream of water continually cools the tile blade while the tool is being operated. Not only does this help prolong the life of the blade, the water also prevents the dust from clogging in the work area, and maintains optimum cutting efficiency. Water and electronics rarely go well together well. Since tile saws require water, a lot of design work has gone into adequately sealing the bearings and electronics to prevent the water from getting into the body of the unit. Bare this in mind when purchasing. Opt for the most robust models that have been built to last. You do not want water or dust seeping into the inner workings of the unit and causing irreparable damage. The type of area in which you will be working, is a very important consideration when deciding on what tile saw is the best for you. 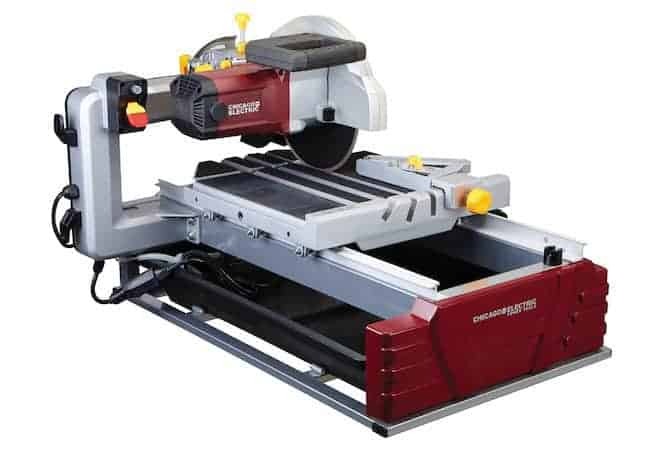 Will your work environment have running water and adequate space and mains power for a tabletop tile saw? The fact is most tile cutting is done with stationary saws. Whether stand-mounted or bench-mounted, these type of saws are robust enough to be water-tight, as well stable enough to supply a fixed water stream to the saw blade. However, on the flip side of this, handheld saws are a good option for smaller projects or when portability is paramount. Lets take a look at the differences between the two types of tile saw in greater detail. As we have already stated, the vast majority of tile saws are stationary saws. This saw design allows for the cooling water to circulate efficiently. It also provides you with increased precision and stability when it comes to cutting large pieces of tile. The beauty of a table mounted tile saw, is that you do not need to manipulate the blade to perform the cut. You simply push the tile along the guideline and let the blade do the work for you. 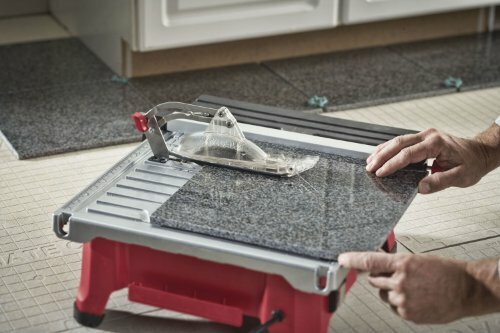 On a table tile saw the blade is mounted in a water tray that will continually wet the tile. Furthermore, if you opt to buy a pump model tile saw, the machine will spray recirculated water on the blade as the material moves under it – (for increased water efficiency). However, cleaner cuts can be achieved with fresh water models that draw running water straight to the cutting area. Another plus with table models is that the blade is generally larger (when compared to portable options). This is turn will offer you increased depth capacity. If you know you will be cutting thick and large tiles, the table tile saw is definitely the one to go for. All these positives come at a cost however. Table tile saws are larger and more expensive than their handheld counterparts. But if you want superior cutting consistency and all round performance, that is a small price to pay. Handheld tile saws come into their own where portability is a must. The convenience they offer for traveling or working outdoors should not be ignored. Handheld tile saws are not too dissimilar to small circular saws. The blade sizes on portable models are usually between 4″ and 4.5″ in length. Needless to say, portable tile saws are not designed for major cutting. One inconvenience is that that water bottle holds a limited amount of water. A portable tile saw is at its best when working with small cuts, or cleaning up a tile, or notching it to go around something. However, you should keep in mind that a handheld model requires more preparation of materials. Tiles need to be clamped into place before you cut, as well as manually measured and marked up. Essentially, handheld tile saws are generally used by professional installers that need a second saw for those fiddly on site jobs. 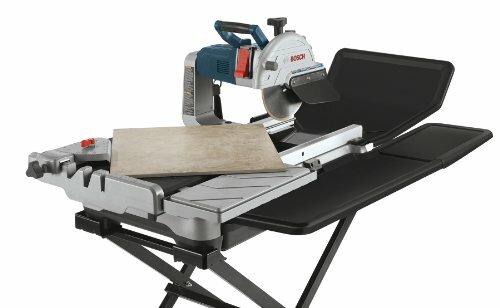 If you only have one tile saw, the tabletop stationary saw is the one you should have. (We will be publishing a top 5 buyers guide for portable hand held tile saws in the very near future). So we’ve covered some of the basics of tile saws and the difference between tabletop stationary saws, and handheld saws that are far more portable. 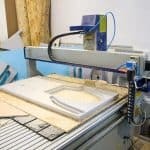 Now its time to look at some of the features you can expect to find on a tile saw, and most importantly of all, what you should ensure comes with the model that you buy. Let’s look at the water source issue in a little more detail. Tile saws pursue two methods of supplying water to the blade cutting area. They either reuse water stored in a pump container or draw it from a continuous source (via a hose connected to tap for example). There will also be a drain or a line connection for draining the excess water and dust away from the work area. The pros and cons of each method are easy to recognize. A tile saw that uses a pump to recirculate water is more convenient and does not need to be connected to a continuous supply. A fresh-water or pumpless tile saw is cleaner and provides better results, however you can only work where a supply line of water is available. As with any power tool – size matters. The bigger and more powerful the motor, the better. Tiles are hard and brittle materials that create a lot of friction when being cut. You need a motor that can cope with the amount of force required. If the motor is too weak, it will take longer to make the cut and may even burn out in the process. 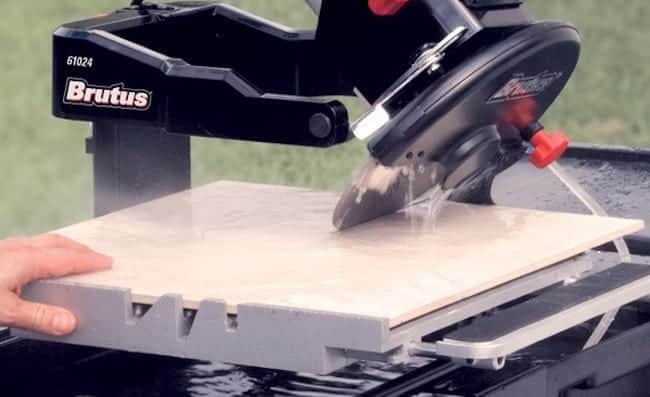 Now we’re really getting to the nitty-gritty of what makes a good wet tile saw. The better the blades, the better it will perform. Another issue to consider is that tile saws require different blades for different applications. The wet/dry blade – these allow for dry cutting and are smaller in size. Normally found on portable tile saws. Wet diamond blades – These have to be water-cooled and are normally found on tabletop tile saws. Blade size actually has a bearing on longevity. A larger blade has less contact with the blade (in ratio to overall size) allowing them to more time to cool on each revolution. This may seem like a minuscule advantage, but it is enough to mean superior performance and overall life span. The blade variables continue. Blade torque needs to be taken into consideration when buying the best tile saw. Greater power will be required to cut heavy and strong tiles. This is directly depended on the horsepower of the motor. Lighter, handheld units of under 0.5 horsepower should only be used on smaller, thinner materials, while table models (anything above 0.5 horsepower), can handle thicker tiles. Finally on the blade section, blade capacity is the ability of the cutting head to adjust to hold blades of various sizes. The best tile saws will include this versatile feature. An additional feature that you should look out for is thermal overload protection. Most models will have this feature, but it’s important to check the specifications before you buy. 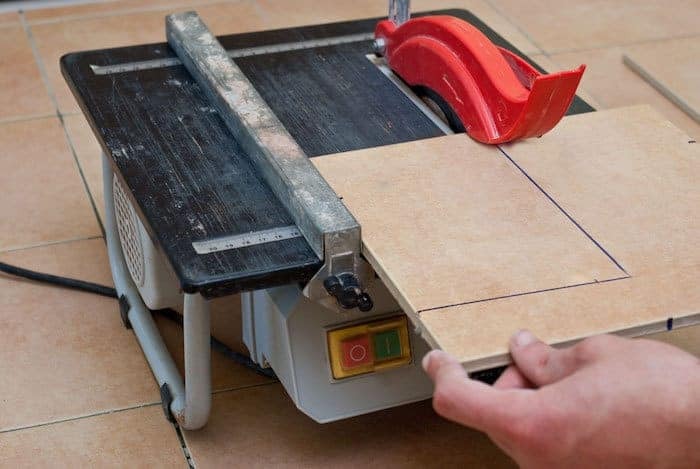 One issue beginners often come across is the amount of mess the average wet tile saw can create, (even dry saws can be difficult with the resulting dust). Again, the water flow can take some time to get used to. One tip for beginners is to wait until the water begins moving over the blade before starting your cut. Cut to soon while the material is dry and friction can end up destroying your blade, or ruining your work. Feeding the material against the blade is another key area that takes practice. Always keep a hand on the tile to keep it from moving into the wrong position. The major rule here is that the harder the material, the slower the feed rate should be. It goes without saying, the softer the material the easier the blade will cut. Tougher material takes longer, so should be fed against the blade more slowly. If dealing with rounded edges or awkward corners use the angled cut method to execute the work. This involves making multiple cuts at angles until you have enough pieces that can be broken off by hand. Once the angled pieces have been removed from the tile, you can use the diamond blade to grind away any excess material.